The Toronto Blue Jays came into the American League East as an expansion team in 1977. They were the second baseball team to be based outside of the United States, following the Montreal Expos who had made their debut in 1969. (The Expos moved to Washington DC in 2004, leaving the Blue Jays as the only team in Canada.) The Blue Jays colors are royal blue, navy blue white and red, following the tradition that Toronto’s sports teams have blue uniforms. The Blue Jays play in the Rogers Centre, which was formally called SkyDome. There have have been rumors linking Toronto, long one of North America’s biggest cities, to a Major League baseball team since the nineteenth century. In January of 1976, a group of Toronto area interests bought the San Francisco Giants with the intention of moving them to Canada. However a US court voided to the deal at the last minute, keeping the Giants in California. The city of Toronto had reconfigured Exhibition Stadium to Major League specs in anticipation of the move and that proved crucial later in the year when MLB voted to add two new teams and gave one of the franchises to key parties in the Toronto ownership group which had missed out on the Giants. The Blue Jays began play in 1977 and like many expansion franchises struggled off the bat, losing over a hundred games in each of their first three seasons. But in 1979 they started to see some green sprouts. For one, their shortstop Alfredo Griffin won rookie of the year. But it was another ‘79 rookie, Dave Stieb, who would play a key role in making the Blue Jays a contender in the eighties. The Jays had their first winning season in 1983, when Steib and Griffin were joined by other young talented players such as Lloyd Moseby, Jesse Barfield, George Bell and Willie Upshaw. They would not have another losing season until 1994. 1984 saw the debut right hander Jimmy Key and suddenly the Blue Jays were one of the best teams in baseball. They won their first division title in 1985 and then another in 1989 and 1991. The 1992 team, featuring Joe Carter, John Olerud, Roberto Alomar and an ace pitching staff of Jack Morris, Jimmy Key, Juan Guzman and David Cone won the franchise’s first World Series. 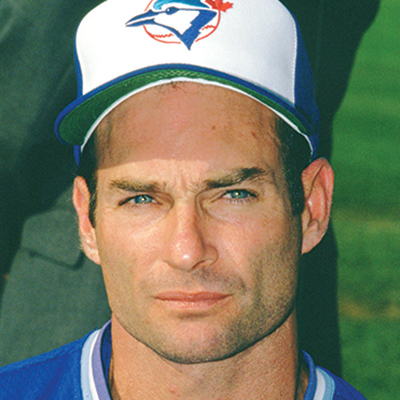 Hall of Fame additions Paul Molitor and Rickey Henderson powered the Blue Jays to back to back titles in 1993. 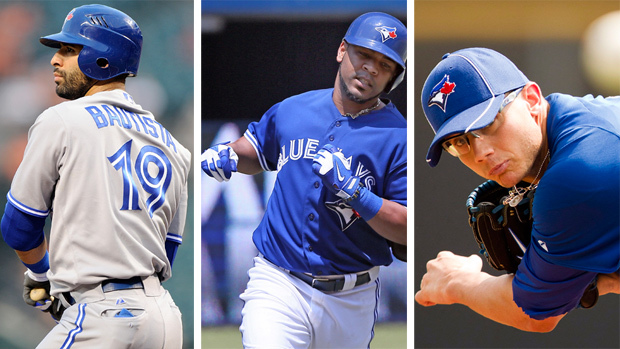 Their momentum quashed by the 1994 lockout, the Blue Jays struggled in the mid-nineties. Although sluggers Carlos Delgado and Sean Green and then pitchers Roger Clemens and Pat Hentgen were able to make the team respectable in the later part of the deace. They’ve been a fairly middling franchise ever since, with highlights including the brilliance of Roy Halladay and the out-of-nowhere power surge of Jose Bautista.